Ajit Wadekar is a former international cricketer who represented India. He was a reliable number three batsman, who hailed from Bombay (now Mumbai) and represented Bombay in the domestic cricket. He was one of the few cricketers who has played many distinct roles such as team manager, captain, coach and chairman of selectors for the Indian team. He received his prominence because of outstanding performances as Captain. Wadekar made his first-class debut for Bombay in 1958–59 before making his debut in international cricket. He made his Test debut against Windies at Brabourne Stadium on December 13, 1966. He made his ODI debut in 1974 against England at Headingley. India cricket was at its peak under Ajit Wadekar’s captaincy. The year of 1971 was marked with dizzying heights as the team won two consecutive away series against two major teams at that time, England and West Indies. Soon after he rose to his glory he faced the downfall in the very next year of his career in 1974. 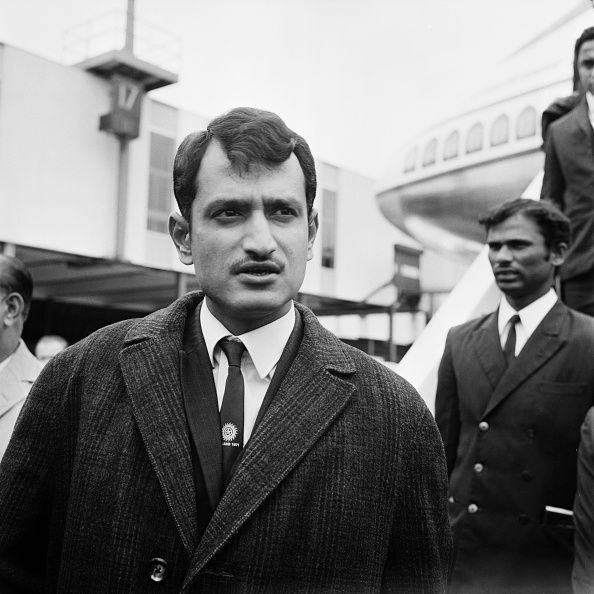 Wadekar was compelled to step down as the captain and he resigned soon after that in 1974. He became the captain of Indian team in 1972 and led the group to its most astounding achievement around the same time. After the series against England in 1974, when he was at the peak of his career, Wadekar was forced to retire as the last three matches of the series were lost. Soon after that he retired from all forms of cricket and served many roles including coach/manager of the team and the chairman of selectors.